High stability, safe stand and easily transportable! 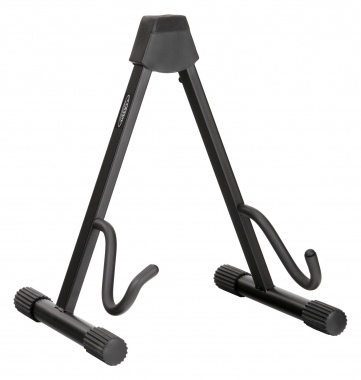 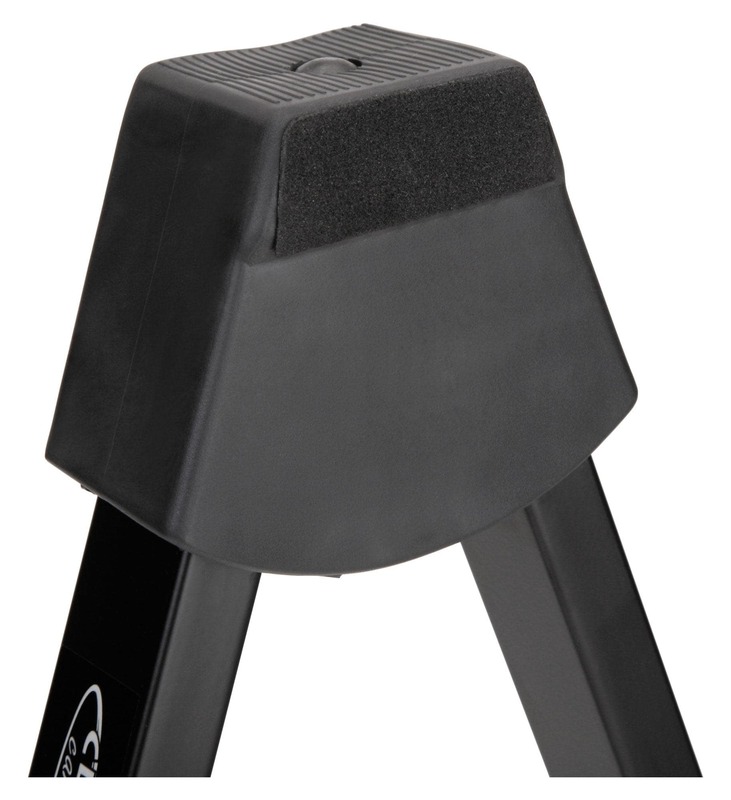 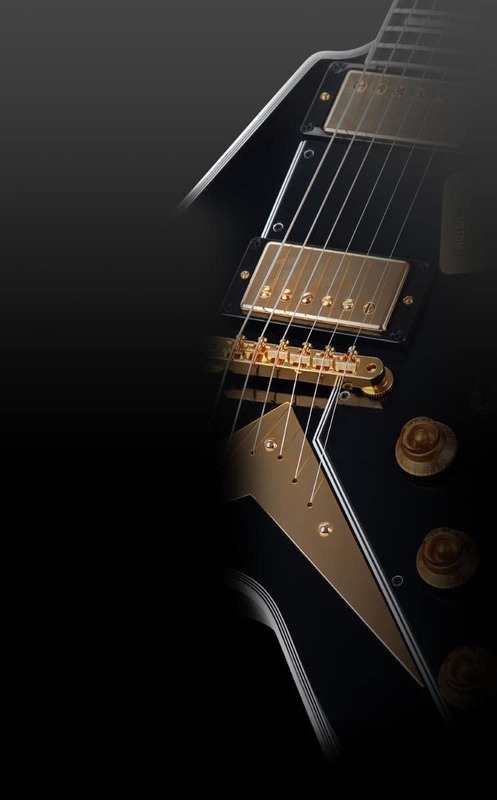 This low, sturdy and stable guitar stand in A-form secures electric guitars, basses and other similar instruments and prevents them from falling! 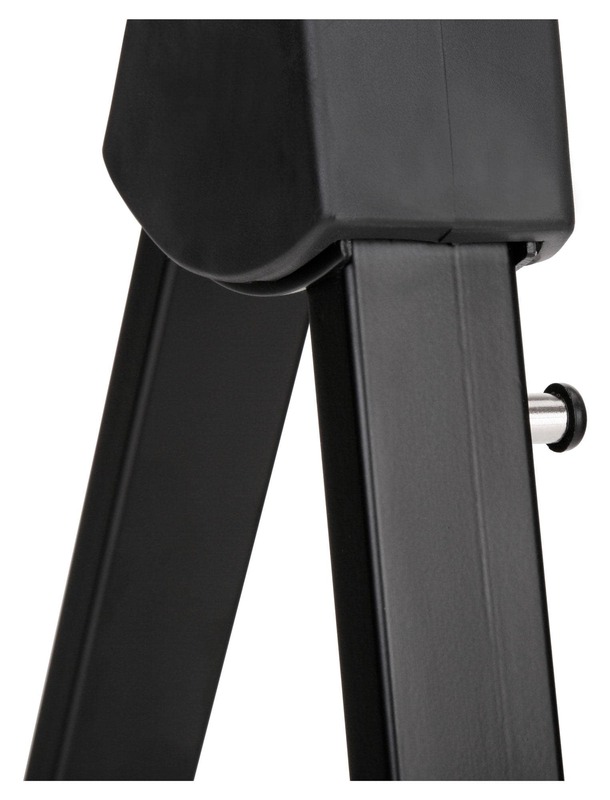 It is made of powder-coated metal, it can be easily adjusted through an innovative push button either in width or it can be compact folded.